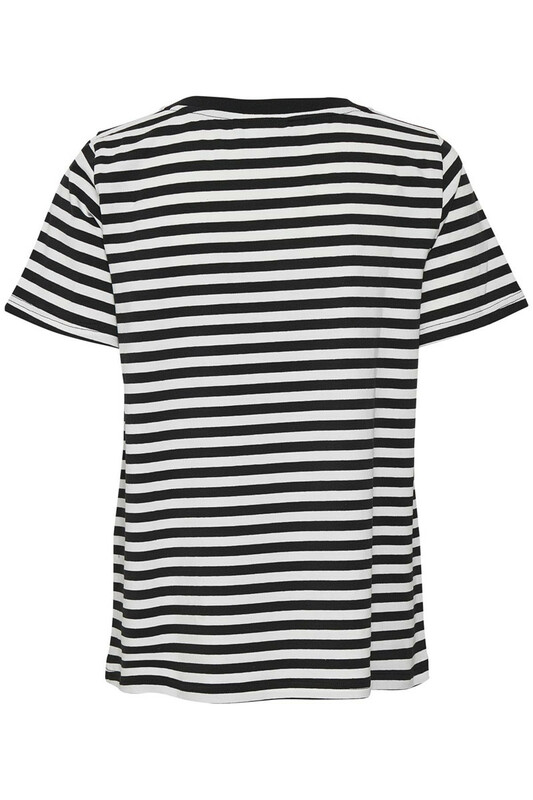 Striped and classic statement T-shirt from KAFFE. The short-sleeved T-shirt has a regular fit, a round neckline and is very soft and comfortable in quality. 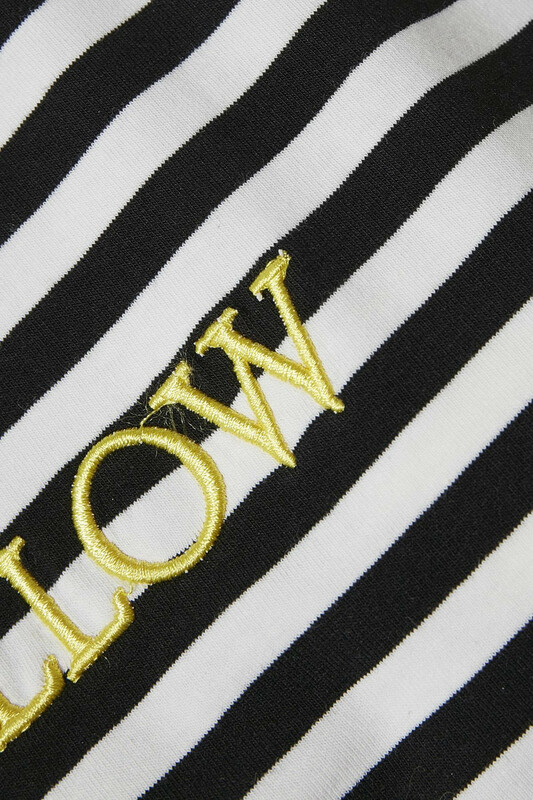 The stripes are horizontal and has a marked neckline. The statement is on the front of the T-shirt and has a discreet but trendy colour. 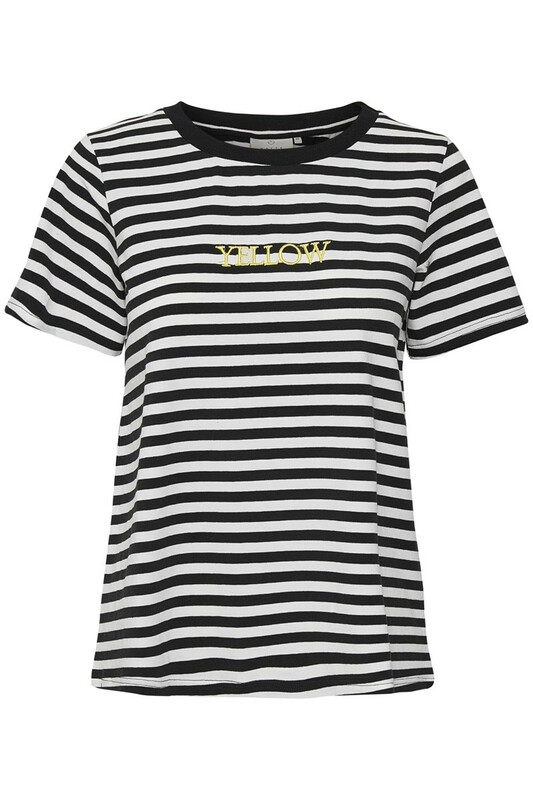 It is undoubtedly a chic Tee that can be used for both party events and everyday use.